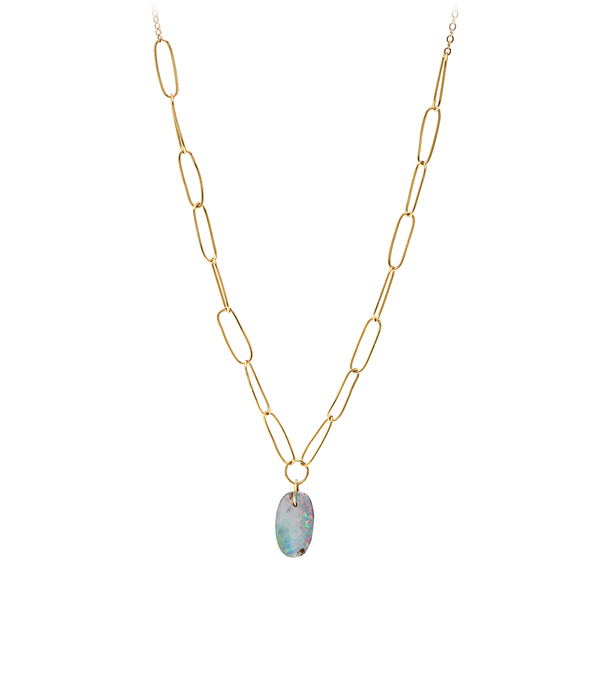 We have endless summer vibes from this delicate gold and Australian Boulder Opal necklace. A colorful drilled Opal slice and cast gold seashell hang from our 18K hand-made “paperclip” chain, which subtly graduates onto a lighter 14K yellow chain. Beachy casual meets rich and refined. Hello, Oceana Luxe!